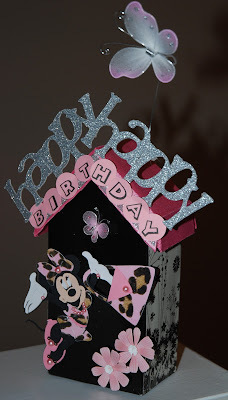 One of my very favorite bloggy buddies, Nicolette of Beyond Scrappin', is sharing her birthday with us by hosting a BIRTHDAY BASH BLOG HOP, and the theme is Disney. I'm your last stop of 25 or so ... if you're joining me before hitting the rest of the terrific bloggers, please start at Nicolette's blog (click HERE), wish her a happy birthday, and tell her I sent you! Now I think I remember ... (and you may know how that "think" is tough, since I've celebrated far more birthdays than Nicolette!) ... that Nicolette's favorite color combo is pink, black, and silver. As a result, I dressed Minnie in Nicolette's favorite colors (a pink leopard-print paper!) and posed her in front of her very own Mouse House. 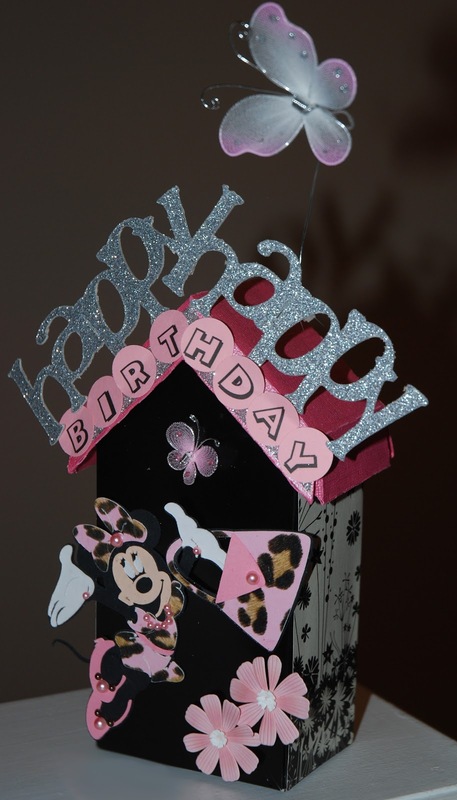 I created the Mouse House from an SCAL cut, using my Cricut Expression (yes, you can still cut using SCAL and your Cricut, despite what you may have heard). I cut Minnie using the Cricut "Mickey and Friends" cartridge, the word "happy" is cut in a glitter cardstock. I found it by relying on my good friend SHAWN's "My Cut Search" program (typed in the word "happy" in the search) and there I found it on my "A Child's Year" cartridge. I would have never looked there!! For the B-I-R-T-H-D-A-Y bubbles, I simply printed the letters on pink paper (using the Mickey font) and punched them out using a 3/4" Marvy punch. Both of the butterflies are from Creative Charms; the larger one "flies" on beading wire. The pink roof lifts off for treats or a gift. NOW, speaking of GIFT ... how would you like a chance at some blog candy in Nicolette's favorite colors?! 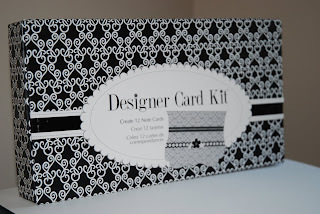 I've got a terrifically sweet DESIGNER CARD KIT by Momenta with the makings for 12 note cards made by little ol' YOU! The kit has cards, envelopes, borders, gems, and stickers, and it was given to me by the sweet people at Momenta to give away to one of my followers. To qualify, please be a follower, and leave a comment on this post. In the comment, be sure to leave me a way to reach you should you be lucky enough to win the candy. I'll be leaving this post up and active June 1 and 2, throughout the hop. I'm just doing one post for the two days, as my new job causes me to have too little time up here in the Paper Jungle, alas ... at least until I get into a routine! Bear with me!! Sooo cute. Thanks for sharing. Wow super cute..... love all the details you put into your project. love this project... i am a sucker for anything animal print... great job! Your mouse house is ADORABLE!! Such a darling project! Very cute! I love this Minnie! Love This!!! I can tell you put a lot of time into this. Great Job. I love all things Disney. Use to work for the Mouse; that is I worked at Disney World where I grew up on E coast of FL. Cute house! I love Disney too! Thanks for the chance to win the awesome card kit. Looks great! I just became a follower too. Cute project!! I always love your creations!! your project is so fun! a mouse house! Who would a thought! CUte~ love the colors too. OMG!! I love it. I love everything about it. Great Job on you "mouse house." What a cue idea to call it that. The colors are wonderful and this is a nice idea for a gift (filled with goodies). This project is just lovely! I know Nicolette is going to love it! I really love Cut and Search, I don't know how I ever lived without it, even though it has probably only been 6 weeks since I found it...one of my very first blog hops! and we saved the best for the last stop! What a grand finish! I totally love your project, the colours and the house are just perfect! TFS! Love your cute little house, Minnie is one of my favorites. Very Nice and love the colors just as much as Nicholette!! TFS!! And for the chance to win such a cool Prize!!! I have been a follower for a while now!! Yay, I can comment again! Love the little Mouse House....great colors!! That is just too stinkin cute! So creative! I was just stopping back by for day 2 of Nicolette's Blog Hop. Hi, Ellen! Love your Disney project. How did I miss hearing about this hop? I love the Disney hops a lot. Well, I'm sorry I missed it. 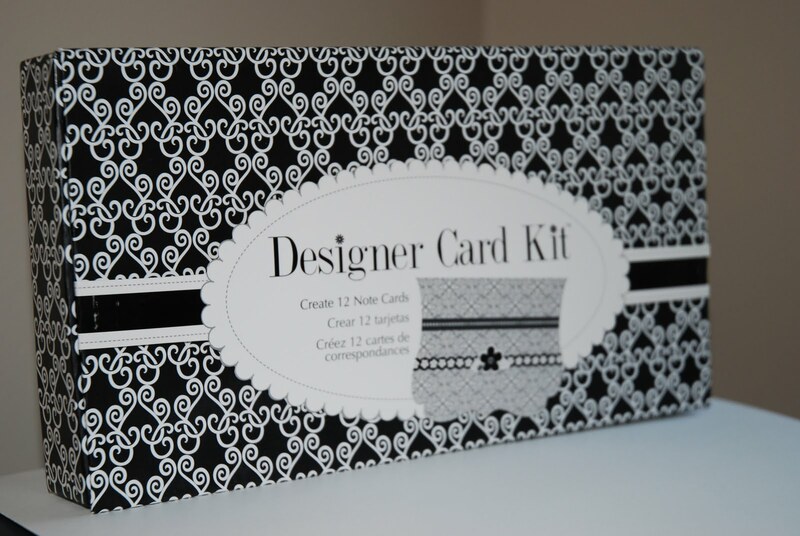 Cool looking note card kit! I would love to win it so I'd have easy to make cards to send with blog candy and such things. Thanks for the opportunity. I'm already a follower.